There’s a lot of talk by many SEO consultants about themed text links and how they are the ONLY text links a webmaster should be seeking. Some go as far as to state un-themed links are worthless in the search for high Google rankings! What’s a Themed Text Link? 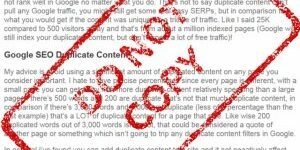 There’s many ways to describe backlinks that fall into the same theme as the content the link is to. Some refer to themed backlinks, others niched backlinks and yet others silo backlinks, they all refer to the same sort of link. 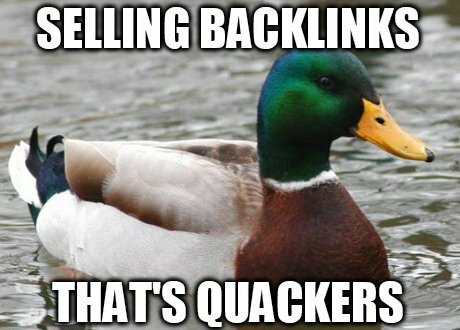 A backlink from content that’s related to the content it is linking to. First we must decide what a themed link is and this causes a major problem! It’s obvious two domains covering the same niche are in the same theme, for example links between two domains where both are in the SEO industry will clearly be themed links. Now you and I know a site about home furnishings is related to a website about kitchen accessories (related meaning the same visitors might like to see both sites), but does Google? How can Google match content that doesn’t use similar content/keywords! If a website is selling dining room chairs, is a backlink from another site selling kitchen cabinets in the same theme/niche? They are similar, but are they similar enough to be considered in the same niche or theme? Are there thousands of Google employees categorizing websites so text links can be graded on relatedness? Of course not, the vast majority of what Google does is automated, if Google can’t automate text link theming, it won’t use it as a ranking factor. IF Google treats themed backlinks differently (I don’t believe it does per se) how could it determine theming of text links? 1. Anchor Text – Does it match the linking pages content. 2. 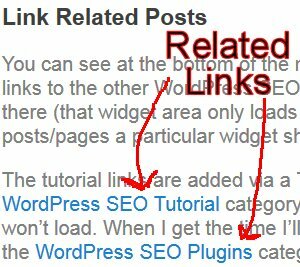 Title Tag of the linking page – Does it use keywords that are on the linked to page. 3. Body Text of the linking page – Are the keywords used as anchor text also within the body text. These are simple SEO metrics Google could easily look for, not sure if they do (I suspect they do something like this), but they could and so IF Google uses link theming this is how I think Google would do it. Personally I don’t see this is theming a site per se, it’s looking for simple SEO signals that the page is related to what it linking to, not theming. What this means is for a text link to be themed the linking page should have a title and content that matches the anchor text of the text link. Hmm, that’s a problem, because in the real world despite having many quality text links from sites that are related (like the home furnishing and kitchen sites example above) only a small percentage match the above criteria, most are not going to be fully themed. And yet my sites, my colleagues sites and many SEO clients websites are doing extremely well in Google with few themed text links, why? ** Actually internal links are better for one reason, when a site has aged PR (from links that have been live for a year) a new internal link passes full PR/link benefit right away. This is why big news sites like CNN can temporarily take a high position for a hard SERP just because they had a new page with a link from their high PR home page: Google in effect trusts CNNs internal links immediately. However if CNN linked to a new page on another domain it wouldn’t get the same SERPs because links from external sources have to age (at least 9 months) to pass full PR/link benefit see Google Sandbox for more details: Google doesn’t trust new links from external sources, they have to age first. Yes it’s true an incoming link from another domain will eventually increase a sites PR/link benefit (which is why we all like new backlinks), but in direct ranking terms they are no better than an internal link. Probably lost a few of you on the above SEO point, so I’ll delve a little deeper. A websites SERPs are powered by the PR or link benefit flowing through the site, more PR a site has more likely a particular page will do well in the SERPs (I’m ignoring the age of incoming external links, that’s another SEO article!). When a site gains a new incoming link from an external source that passes new PR/link benefit to the site, basically it increases the sites PR and this in turn helps every page of the site do better. 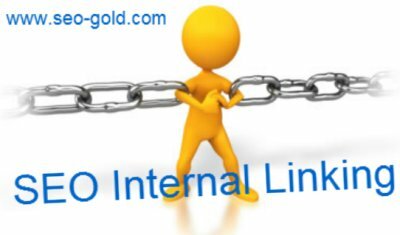 With internal linking there is no over all increase in PR/link benefit to that domain, what you are doing is sharing or sculpting your existing PR/link benefit through your site using text links, and since a sites PR/link benefit is finite it can only go so far. When you add a new internal link to say a new webpage this takes some PR/link benefit away from the existing pages of the site, basically the new page is taking a share of the sites PR, how much of a share depends on the number of internal links and which pages are linking to it. The effect of this sharing of PR is current SERPs can fall when a webmaster adds new pages because the existing pages no longer receive the same PR/link benefit they had before! This does not mean don’t add new content, just make sure every page of your site has a function (preferably targeting a new SERP), otherwise you are wasting some of your PR/link benefit! If you add a lot of content look for new sources of PR to maintain the overall PR/link benefit to existing pages. As you can see to the uninformed webmaster that adds new internal links traffic can fall if they wasted PR/link benefit and this leads them to the conclusion internal links are downgraded or don’t count at all. Since internal themed text links are as good as similar external text links you should make sure all internal links use relevant anchor text. 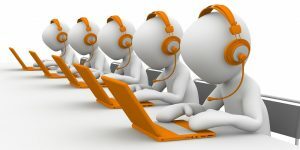 When done correctly this can generate thousands of targeted visitors a day to deep product pages with quite modest amounts of PR flowing through a site. And this is where theming of incoming text links from external sources is not needed. Send an un-themed PR7 link to your home page and your home page could increase in PR to as high as PR6 (depends on several factors). Now through wise internal linking you turn that un-themed PR into highly themed internal text links which are just as good as any other PR6 link! It is that simple, every text link (and this includes image links) to a site no matter where it is from (as long as it passes PR, for example doesn’t use rel=nofollow or Google considers in link SPAM**) will increase the sites overall PR which through keyword rich internal anchor text of internal links can power a site to high targeted traffic from Google. ** Sites that are caught selling backlinks that pass SEO value no longer pass any SEO value, the PageRank and link benefit that passes through that domains links are deleted. Basically if caught selling links nothing you link out to benefits from the links, that’s every site you link out to, not just the ones you sold links to. But there need to add a submit sold links box to there webmasters tools ? Un-themed text links will help increase your PR and having a few non relevent links can be good to make everything look more natural. first let me tell you that i was searching for some SEO CONSULTANTS and found your web, its good.. a collection of good articles.. keep it up. Secondly in your left column in pages section i found a link with anchor text “SEO Consultant Services” it back to your own homepage … your getting two internal backlinks from this current page to your homepage..
1. link from your header and 2. from this described link. I’m afraid you are only going to get one fair share of the PR from a page no matter how many links to one URL are there. So if I had 20 links from this page to the home page, the home page will not receive 20 times the PR. Though to be completely honest I’ve not run SEO tests on this, just commonsense tells me it will work this way. I’m reasonably confident Google counts unique links when sharing PR. If a page has 100 links, but 30 are repeats (double menu for example) Google will treat the page as having 70 unique links from it and give each of those unique URLs 1/70th of the PR available to share. So there is no PR benefit to linking to a page multiple times this way. There are benefit in multiple links though. Lets say you have a design that has to use the anchor text HOME for the home page link in the header. This is the worst anchor text you could possibly use (unless your after SERPs like “Home Mortgage” then it’s great anchor text). Your stuck with one link with anchor text HOME. If we add another link with anchor text “SEO Services” Google will treat those 2 links as one link with the anchor text “HOME SEO Services”** and share the anchor text benefit over those three words: each word receives 1/3rd of the SEO benefit and since 2 are relevant keywords, we only waste 1/3rd of the benefit. ** For this to work you have to add #something to the end of the URL of the second link, Google won’t count the anchor text otherwise. Still not perfect, but much better than having a link with home as the only anchor text. Add even more links with different anchor text and it will be shared further making the wasted anchor text benefit from using the word HOME practically negligible. Add to this anchor text is also weighted more than standard body text on the page the anchor text is on and you can see linking out to relevant pages can help the linking out page a lot. Basically a page about themed text links should link to other pages with the anchor text themed text links (and relevant phrases) even if it means linking to the same page 2 or more times.